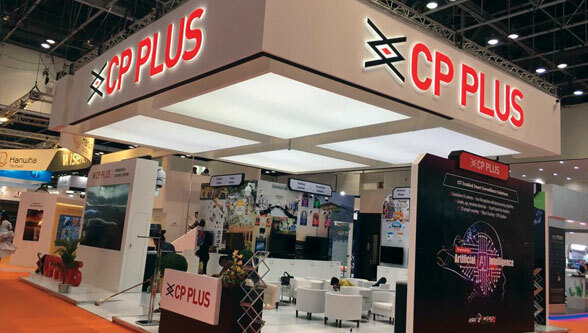 CP PLUS pulled up a great show at the Dubai INTERSEC 2019 held between January 20th-22nd at the Dubai International Convention and Exhibition Center. 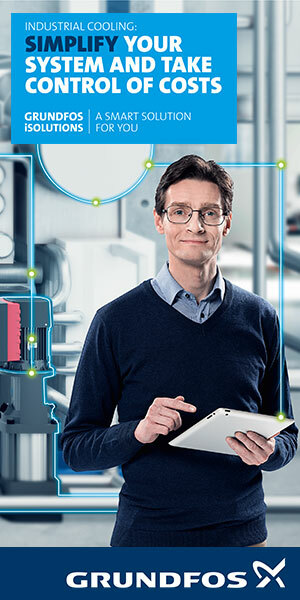 Showcasing IoT-Enabled Intelligent Surveillance Solutions such as Stand-alone AI cameras, Face recognition (deep learning algorithm), gender, age, emotions detection, Smart Search for Analytics, 3D people counting, Object tracking, and LPR solution. Stand-alone AI cameras with face recognition (deep learning algorithm) and gender, age, & emotion detection were on display, equipped with features like Smart-Search for analytics, 3D people counting, object tracking, and LPR solution. 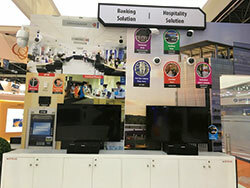 For the banking sector, on display was ATM solution with motorized zoom for outside ATM, WDR with audio alert, Face capturing camera as pin hole hidden camera with Smart Analytics. While for Hospitality industry, solutions for Perimeter security with motorized zoom with Smart analytics, Parking area surveillance with LPR, Fish-eye camera for 360 view, and Corridor area surveillance with corridor mode. Also, time and attendance solution was presented. 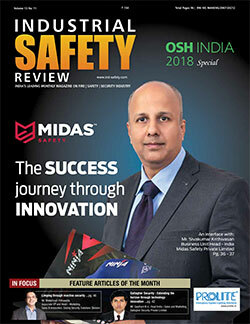 For the industrial sector, industry-grade Explosion-proof cameras, Anti-corrosion camera, IP68 cameras with surge protection were displayed; along with vandalism detection solution was showcased with Intelligent Video Analysis, ANPR solution, and Access Control System. 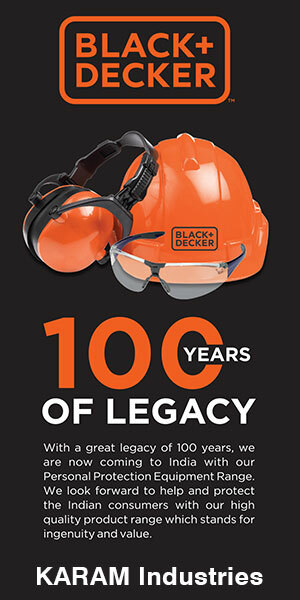 Other solutions such as Intrusion alarm integration with beam sensor for temperature measurement, fire detection, equipment failure, leakage in chemical containers, oil & gas leakage, energy audits, electrical drops, panel, breakers, switches, and wire connection. In storage, Seagate SKYHAWK surveillance solution was showcased for the audience. For the retail sector, people counting, face detection, heat map to detect crowd and POS solution with text overlay on video was in the offering. While for the real estate sector, Parking area surveillance solution with 4K H.265 Network Camera and 2 MP @60fps LPR Camera were displayed; with Multi-Apartment TCP/IP VDP solution. Ezykam solution having Home on Phone with Insta Cloud was displayed. 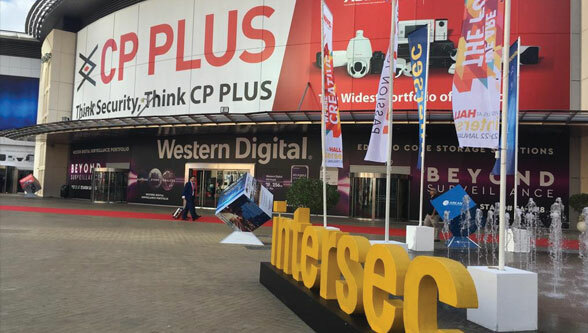 In this, solutions on 3G/4G remote monitoring, GPS tracking and GEO fencing, Wireless Auto backup, Alarm Integration, Video Archiving, Shock, Vibration & tamper proof solution, Analytics with AI were displayed. Solutions showcased for this vertical were Entry/exit for vehicle monitoring, Perimeter protection with WDR motorized zoom with Intelligent Analytics, Classroom monitoring with Edge recording, Open area monitoring with PTZ auto tracking. And, Fish eye camera for library, cafeteria, hallways, corridors. 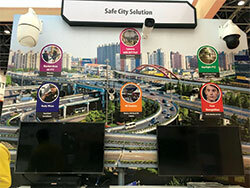 City Surveillance Solutions for Market area with PTZ cameras, Body-worn hand-held surveillance, Camera with SFP Port for long distance transmission, Face recognition for identity detection, Starlight PTZ with high quality imagery in low light environment were displayed.